It is a smooth classic bob with full bangs that can be worn straight or swept to one side. It is made of the highest quality 100% Remy hair. 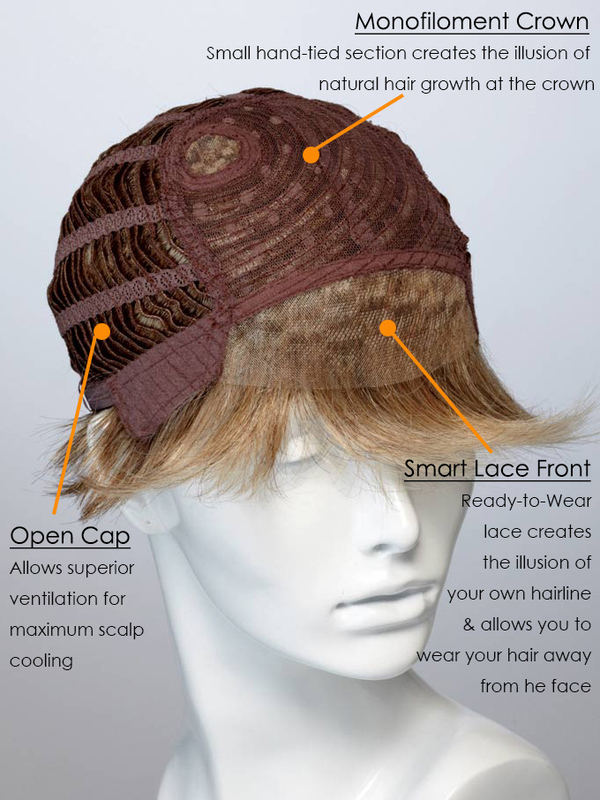 It has a lace front to create the illusion of a natural hairline. really apprehensiveThis is my first wig and I was really apprehensive. To my delight, the style and colour of the this wig is just what I wanted and I absolutely love it! I will definitely be purcashing another. very well made!I'm having some hair loss in my forties and after a lot of frustration, I've decided to give wigs a try. I took a chance and am pleasantly surprised by the quality of this wig...it seems very well made with such lovely hair!